Due to relatively high pollution levels in Bangkok lately, Bromsgrove International School Thailand continue to take responsible steps to ensure we are looking after the health and well-being of our students, teachers and community. 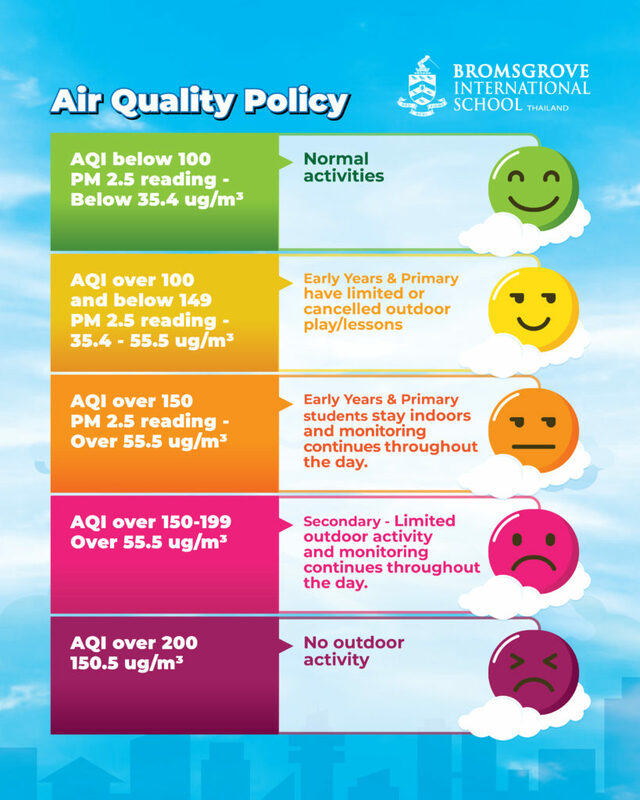 We monitor the AQI and PM 2.5 levels throughout each day and publish/update the levels on our external doors to inform our community of when outdoor activity is possible and safe for our students, boarders and staff. This is just one of the processes in place to keep our school a healthy environment during pollution. For more information regarding our Air Quality Policy, please call 02-9894873.